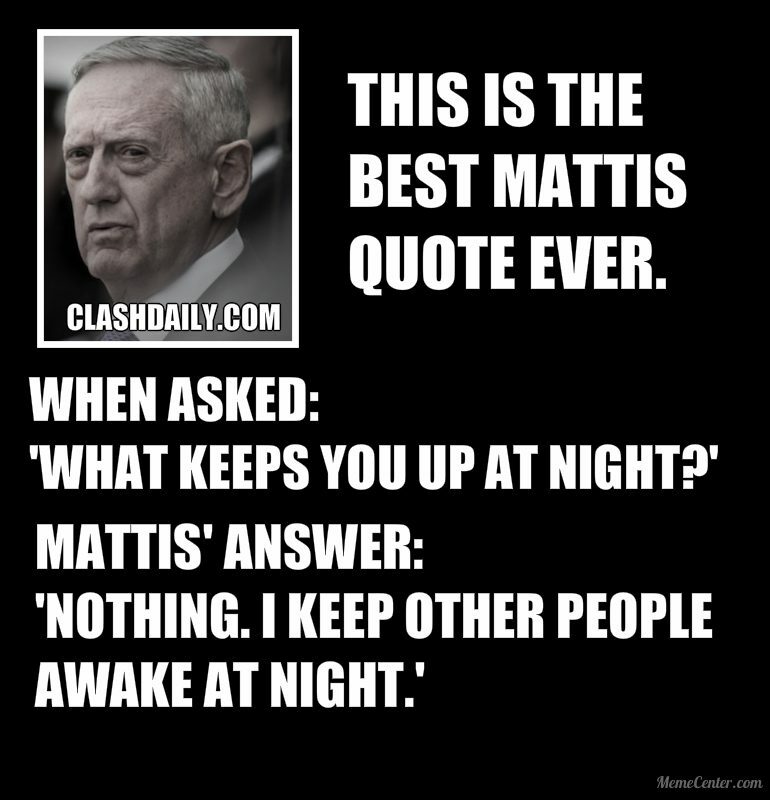 Our Secretary of Defense, James ‘Mad Dog’ Mattis is known for his pithy badass quotes. But THIS one is off the charts AWESOME! DEAR ISIS: Gen Mattis Is Coming YOUR Way And You’re In DEEP Crap! But we think that this quote is the best so far. Do you agree with the ClashDaily team? Or do you prefer another ‘Mattisism’?